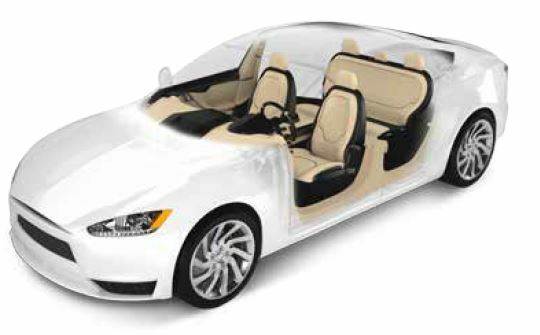 Meet your critical lubrication requirements for advanced vehicle interior design with Molykote specialty lubricants from Dow Consumer Solutions. 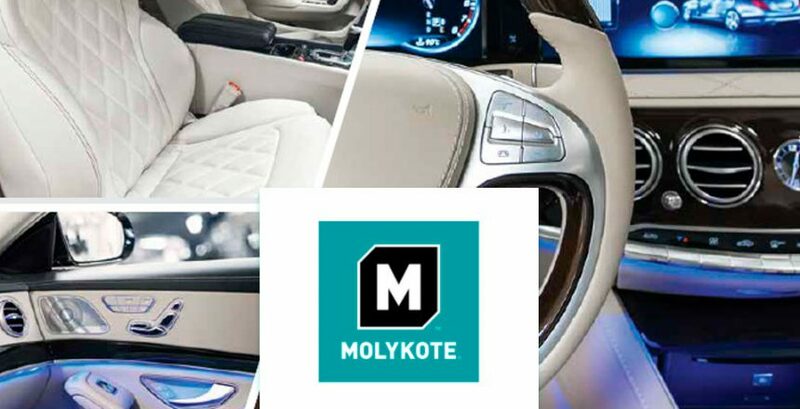 NOTE: These are proven, effective Molykote® brand Smart Lubrication™ solutions for vehicle interior design. Contact DGE for product options to meet specialized requirements. Enhance your design sustainability with Molykote brand Smart Lubrication solutions from Dow Consumer Solutions. To meet key interior design needs, these advanced specialty lubrication technologies can be custom-formulated for specified performance characteristics, regulatory standards and process requirements. Raw materials include base oils such as silicone, mineral or polyalphaolefin (PAO); solid lubricants such as molybdenum disulfide (MoS2) and polytetrafluoroethylene (PTFE); thickeners such as lithium; and various performance additives to inhibit rust, resist wear or withstand extreme pressure. Molykote® lubricants enhance tactile feel and add smoothness to operator-adjustable components such as mirrors, visors, cupholders and gloveboxes. Molykote® lubricant greases and anti-friction coatings (AFCs) reduce stick-slip between dissimilar materials and help eliminate squeaks, rattles and buzzing vibrations.